It's the last Saturday in September already! Sweet Kobylkin is the hostess and she chose the code word - DREAM. My two cats ( Bitsy and Gracie ) do a lot of sleeping. I can only imagine what they dream about. I ended up using three different stamp sets. Recollections - for the word dream that I white embossed on a strip of black cardstock. 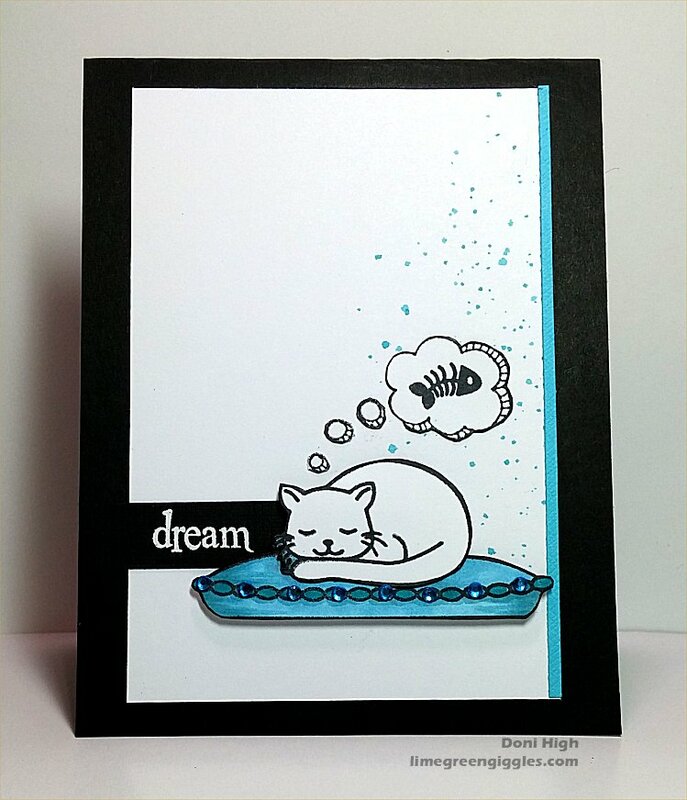 studio g - stamp set for the dream bubble and self adhesive gems used on the pillow. used as a wet paint to flick on to the card front using a small paint brush tapped against my finger). Darice - adhesive foam strips used to pop up the kitty and the pillow. I'd like to encourage you to enter the challenge. The prize is three free images from our sponsor Scribbles Designs. Cute and clever Doni and I love the detail inside the card too! FUN card, Done - inside and out ! This is such a sweet card, Doni! I love the color combo, and the inside of your card is fabulous! Awww this is soooo cute. Thanks for sharing sweet card. its such a sweet and cute dream. Like what you did inside of the card. So cute and very clever use of the gems!!! 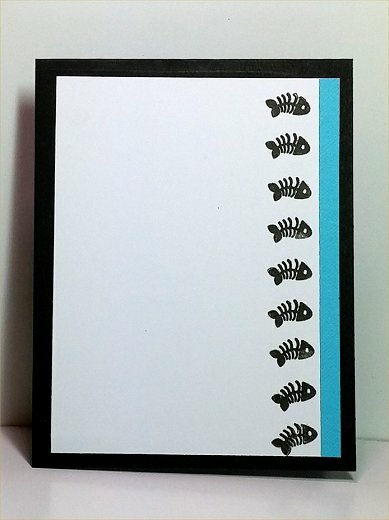 This is so adorable love the fish border inside such a great take on the code word. Sorry for commenting this late.